European colonialism spans nearly 450 years of human history, the majority of land on the planet has at one time been claimed, owned or governed by others. Colonialism therefore has affected in one form or another nearly every nation and people in some way whether as the colonised or the colonisers. Those experiences, past histories and related narratives created and continue to assist in the construction of national identities as well as national histories. As part of this process museums have long been established as being an element of the preservation of the past (Sauvage, 2010). They can, as Sauvage explains, using Foucault, help establish and re-establish power relations between the people (the colonisers and the colonised) and the state by seeking to educate people along pre-established colonial discourses. 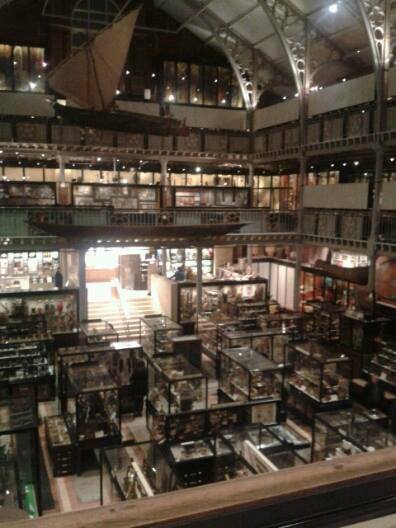 The Pitt Rivers museum is, at 130 years old, was at its inception a demonstration of the perspective of the colonial paradigm from the time of great empire building. From an initial private collection of 20,000 items it now claims a collection of quarter of a million different objects and is still growing. Colonialism and the colonial past are embedded in every aspect of the museum and no more so than in the very artefacts it houses. Due to this, the history of the collections in its possession contain within them complexities of ownership that have arisen with the establishing of ‘newer’ nations since decolonisation. These complexities present a dilemma to a museum that has its own historical foundation but wishes to present a more modern day outlook. The museum in maintaining its 19th century layout and displays has more than other museums, confronted and commented on its collections’ colonial past. By constructing itself around its own past it stands as an exhibition piece itself, as a Museum within a Museum (Sauvage,2010). It has been accused of being the preserve of colonialism (Kravagna, 2008) in contrast to other museums in Europe which have attempted to be institutions “atoning for the past” (New York Times, 2011) by shutting their doors and being reborn as more modern museums, e.g. Musée duQuai Branly in France and the Museum of World Culture in Norway. These museums are able to better display their artefacts within the context of their original time and place, whereas the physical layout of the Pitt Rivers is not able to do this to any great degree. The cluttered glass cabinets on the ground floor arranged by typologically by topic and subject give a date and place of origin for the objects and not much else (though the artefacts demonstrating stages of life on the 1st floor do give more information). This design corresponds with the Victorian thirst for knowledge and to see as much as possible. This layout was meant to show how different people and cultures dealt with and addressed the same basic life issues. Whilst the current exhibits are outdated by not showing the artefacts by area or people it does, unintentionally by the Victorian curators, result in the artefacts and objects and hence their cultures and societies being less ‘othered’ as they show commonality across peoples. “its displays are now so outdated that they challenge visitors to consider what the European practice of collecting has meant to colonized peoples.” (Sauvage, 2010). It cannot designate colonialism as the preserve of the past as it stands as a museum of not just the objects and artefacts but as an example of how colonialism, the explorations and scholarship it inspired is a process and phenomena that shaped and continues to shape our world. “were delighted to recognise their relatives in this picture”. “they asked for it to be shown with the names of the people in it so you will know who they are”. 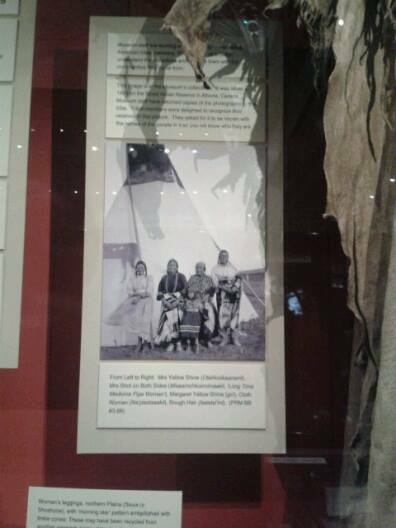 This small photograph and the information in the cabinet showing Native North American dress is a small presentation but it does demonstrate that for these particular people, in this particular case, what they required the museum to do was to acknowledge their ancestors as individuals; an aim achieved by naming the people photographed. This emergence from anonymity moves the exhibit from being a bland presentation of the ‘ruled’ to a personal record and portrait of the history of families living in another land. As has been shown, the Pitt Rivers presents itself as an exhibitor of colonialism when other museums seek to reinvent and redesign themselves along post-colonial paradigms. But there is nothing ‘post’ about colonialism (Lynch and Alberti, 2010) because even in a time where the process of decolonisation is 50 or 60 year old the legacy of colonialism continues to permeate relations between people and our understanding of the world and its social context.. In many ways the issue of how the museum reacts to its own past therefore does not lie predominately with the museum and British modern views of the ex-colonies but with the ex- colonies themselves. It is for them to decide if it is enough (as with the photograph) to simply acknowledge not just the origin of an object but the people, the place and time it emerge from. If this acknowledgement is not enough for the people themselves then there is an argument for repatriation. This raises numerous questions such as whether the taking of something in the course of imperial rule (where the colonisers technically own it) mean that 100s of years later it should be returned? Does returning it constitute an apology? Is it even the place of a university museum to make apologies within the world of colonial politics? What if an object was bought and sold and bought again? What about the artefacts which were gifted to the collection from the original owner themselves but their descendants wish them to be returned? At its core, there are issues about the ‘ownership’ of heritage, power relationships between contrasting cultures and the way this impinges on cultural identity. Museums unless they house modern objects are still going to carry the message of “colonisers meeting colonised”. 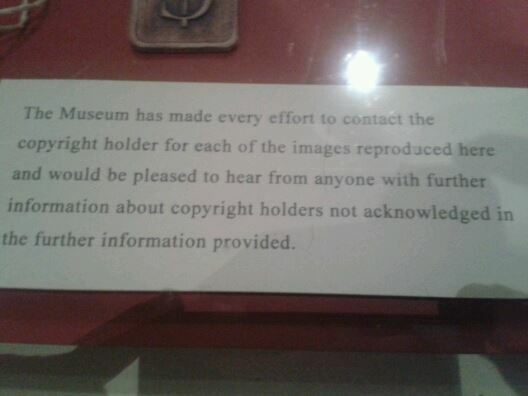 An element of museums is always going to be the view that “this is our interpretation of events”. 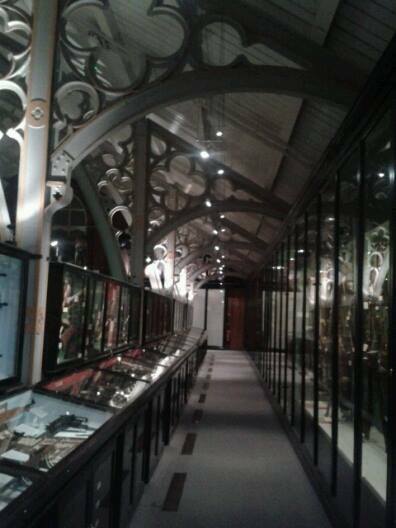 However what the Pitt Rivers has attempted to do is create a space that goes beyond commenting on itself. By maintaining the look of a museum used as “an active tool of empire” (photo), a tool that was used to justify and expand imperial rule and discourse it can and does attempt to come to terms with its colonial past. It does this with the awareness that its past however chequered, contested, perhaps immoral and even violent is a part of its history as a museum as well as part of the history of history, anthropology, archaeology and countless other disciplines. By having its past on show and by not shying away from what it used to represent the museum is better placed than many to confront the often complex and contentious issues and legacies that continue within a post-colonial world.